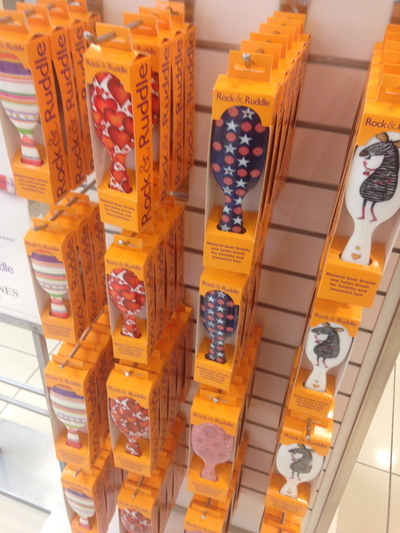 Rock & Ruddle hair brushes originated in London, and have just made their debut on Australia's shores in early February 2013. At this stage you can buy this product from David Jones department stores. 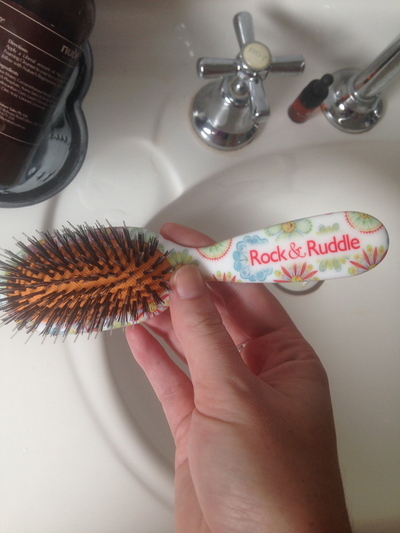 It is exciting to observe that this particular hair brush is no ordinary hair brush. Don't you find many traditional hair brushes rather heavy weight wise, as well as heavy on your hair in some cases? If you believe you have the most sensitive hair, you will love this product. You can buy a small size ($39.95) designed for the handbag (as pictured), or a large size ($59.95) from a variety of different stylish designs. If you're a cat lover, there is a design with a myriad of cats. I recently invested in a small hair brush with smiley faces. Another hair cut is a perfect time to invest in a new hair brush. If you're tired of combing your hair, this is a good alternative. Clear care instructions are also provided on the packaging. 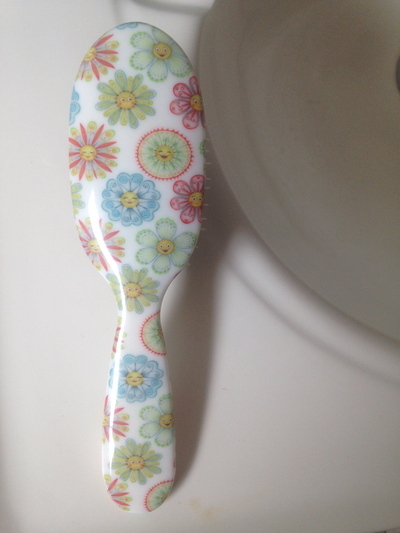 Just use some warm soapy water to remove any excess hairs from your brush. 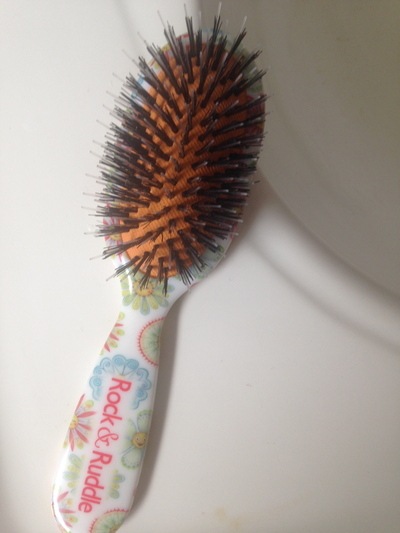 Have never come across a hair brush so soft and nurturing on the hair simultaneously. 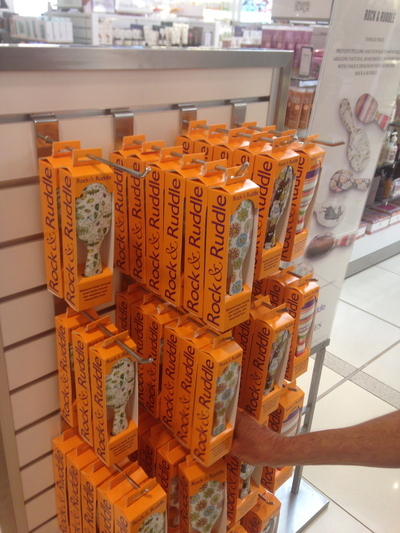 At the moment at David Jones in Sydney City, there is an eager staff member on hand that is able to answer all of your questions on this product. This product is fantastic for both dry and wet hair. Also perfect to use when blow drying. 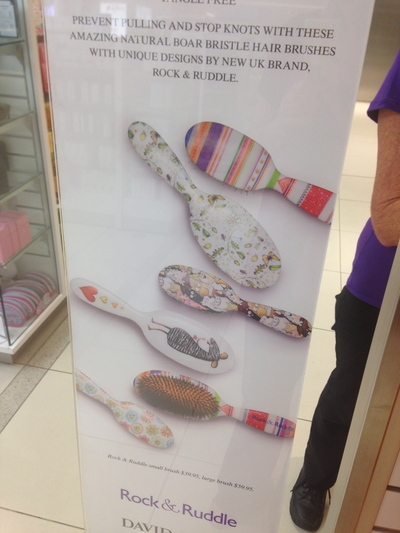 So far sales for this new brush have been well received in Australia, and I can feel a beauty trend emerging upon us.